Following our rebrand of this growing office sharing, coworking and virtual services company, we were commissioned to redesign the website in line with the new styling. We changed the structure to concentrate on two key elements of the business: location and services. Changes to the sitemap also brought changes to the written content. We rewrote, edited and proofread the copy for a more focused message and a clearer user journey. 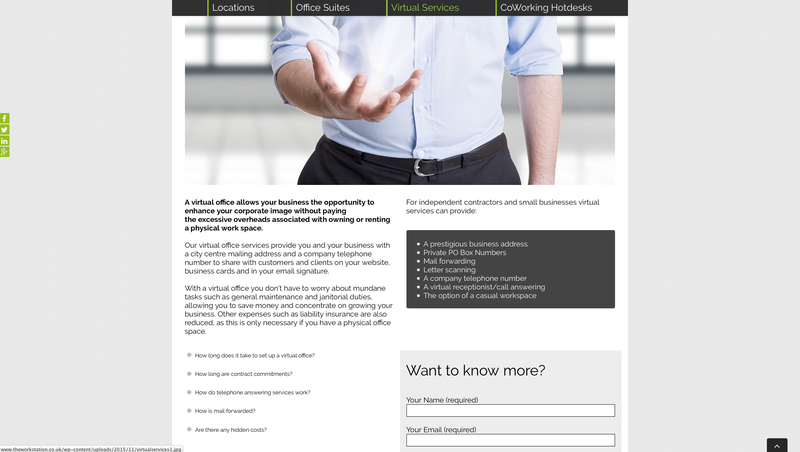 All pages use a large banner images with a focus on people for the service pages and exterior of the relevant business centres for the locations pages. Each of the services offered (Office Suites, Virtual Services, CoWorking Hotdesks) are reached via the top navigation. Locations can also be reached via the top navigation which takes the user back to the homepage where each of the business centres are represented as office chairs from The Workstation branding on the embedded map and are also listed with an exterior photo to the right of this. On each of the location pages, there is a gallery showing various interior and exteriors of the site, along with a filing style set-up with tabs providing information on the features and specifications of the property. 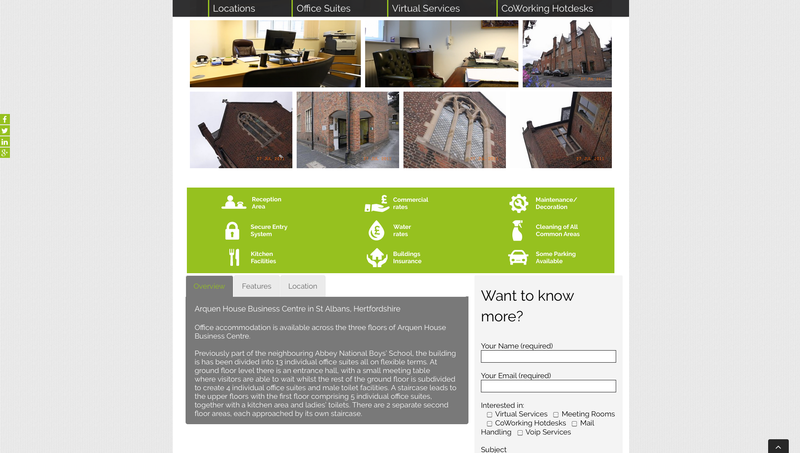 Following the successful rebrand and redesign of the website, we were asked to manage the SEO and digital marketing accounts for The Workstation.